Chico, CA— June 29, 2015—On a trip to Germany this spring, Sierra Nevada Brewing Co. finalized its inaugural partner, Augsburg’s Brauhaus Riegele, for a brand new Oktoberfest beer. Released each fall starting in 2015, the collaborative seasonal will feature a different German brewery every year. The partnership blends centuries of brewing tradition with modern spirit, giving craft drinkers the ultimate Oktoberfest, a Bavarian festival beer unlike any they’ve experienced in the US. Family owned like Sierra Nevada, Brauhaus Riegele has brewed excellent craft beers since 1386, and more than 600 years later, its innovation earns accolades including 2015 Craft Brewer of the Year at the Meininger International Craft Beer Awards. Just as Sierra Nevada’s Ken and Brian Grossman lead as a father-son team, Brauhaus Riegele has a father-son duo at the helm. Its 27th generation Master Brewer Dr. Sebastian Priller-Riegele works alongside his son Sebastian Priller-Riegele, a World Champion Beer Sommelier, to brew a lineup of beers that together have earned more than 200 awards and medals stateside and abroad. Their brewmaster, Frank Muller, has won the German Government’s “Bundesehrenpreis” award for quality seven times—every year it’s been given. 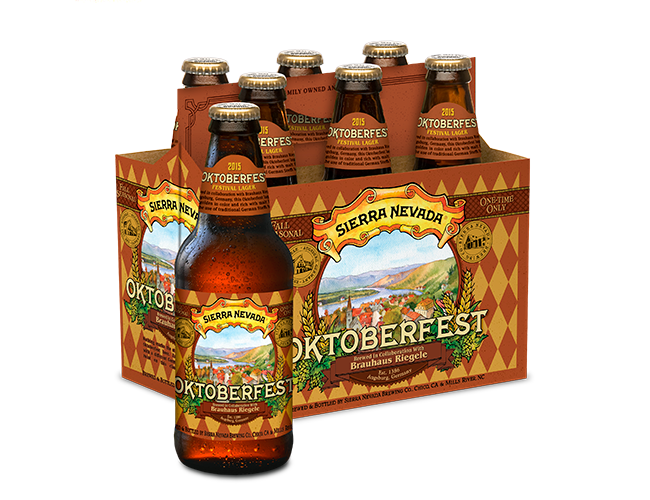 The Sierra Nevada and Brauhaus Riegele collaboration Oktoberfest will hit retail shelves in August. It will only be distributed in North America, although Brauhaus Riegele fans in Germany need not worry. The two breweries are collaborating on a separate barrel-aged beer to be brewed and aged on site at Brauhaus Riegele’s traditional Bavarian sudhaus. Founded in 1386, Brauhaus Riegele is acknowledged as one of Germanys leading breweries in respect to quality and beer culture. It is located in Augsburg in the heart of Bavaria, where roughly 30 different kinds of craft beers are brewed, among them “Commerzienrat Riegele Privat,” Germany’s beer of the decade. More information at www.riegele.de or www.riegele-biermanufaktur.de.